Description: Deterministic and stochastic models of decision-making by air navigation system's human-operator and models of developing the flight situation were considered. A methodology for modelling of Markov’s process of flight situation development for stationary decision-making processes has been developed. The scenarios of developing a flight situation in case of selecting either the positive or negative pole in accordance with the reflexive theory have been obtained. The predictors of catastrophic situation in sociotechnical air navigation system have been identified. Shmelova, T.F., Sikirda, Yu.V. and Dzhafarzade, T.R. 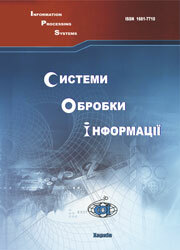 (2013), “Modeli rozvytku polotnoi sytuatsii pry pryiniatti rishennia liudynoiu-operatorom aeronavihatsiinoi systemy” [Models of flight situations development while decision-making by air navigation system's human-operator], Information Processing Systems, Vol. 8(115), pp. 136-142.